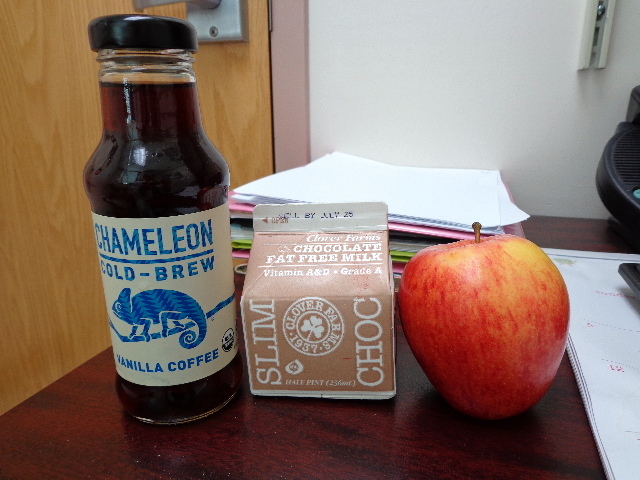 Or Vanilla Chameleon Cold Brew with chocolate milk and an apple on the side. Cereal with milk. And blueberries. 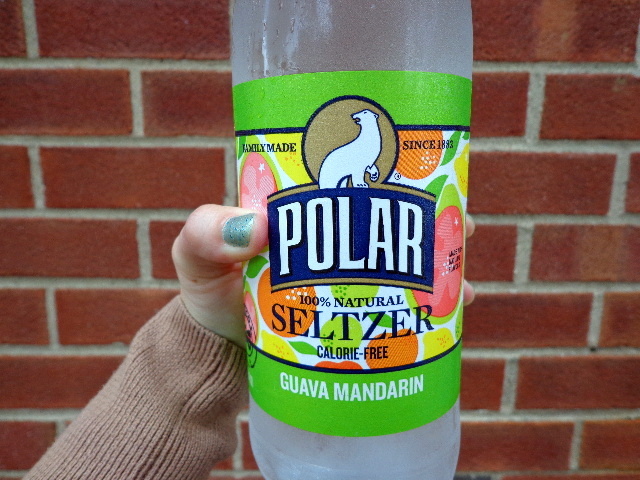 Plus Guava Mandarin Polar seltzer. I lugged that back from Wegman’s in Buffalo and it was so worth it. 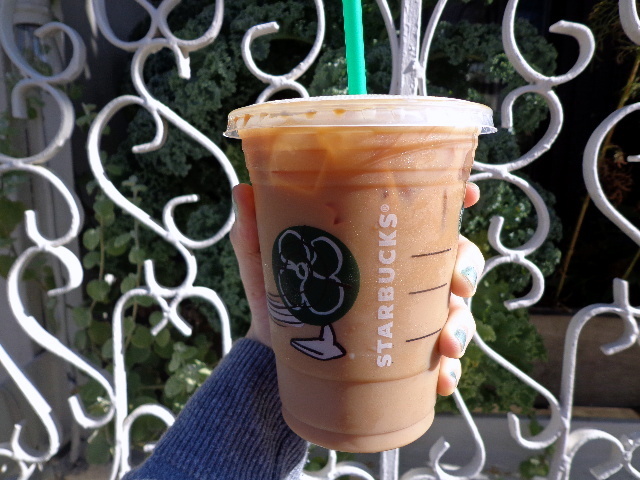 Always worth it. 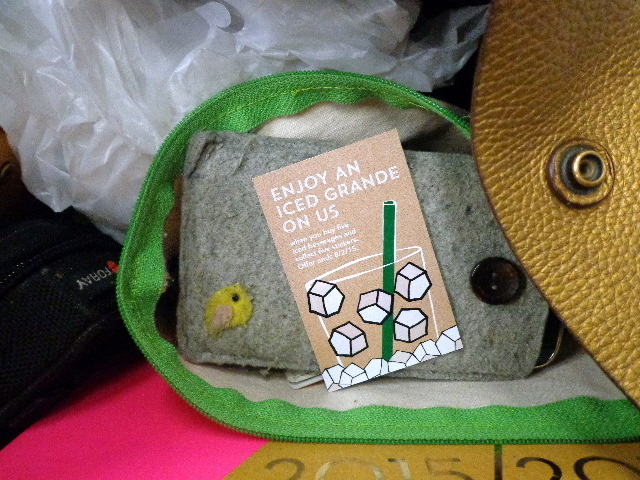 I’d be lying if I said my birthday drink freebie wasn’t bringing me a lot of anticipatory joy. 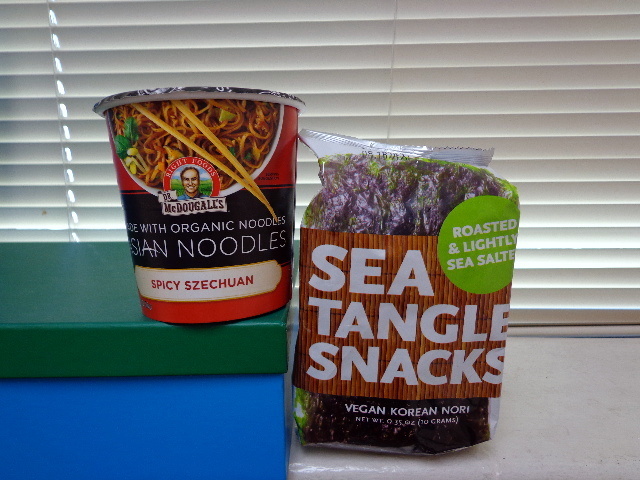 Microwave noodles and roasted seaweed. 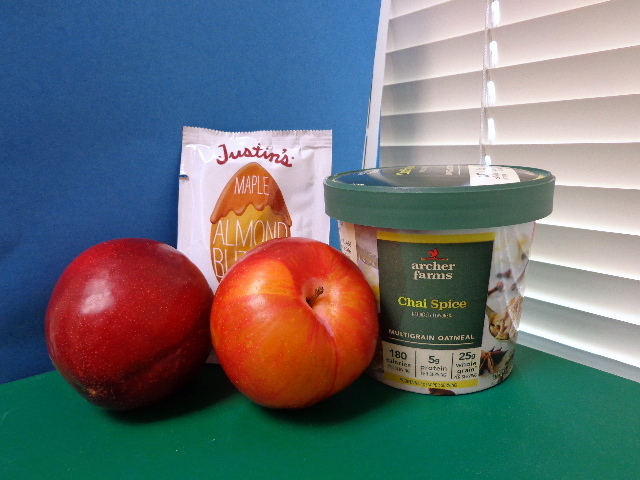 Chai-spiced oats from Target with maple almond butter on top and 2 black pluots on the side. 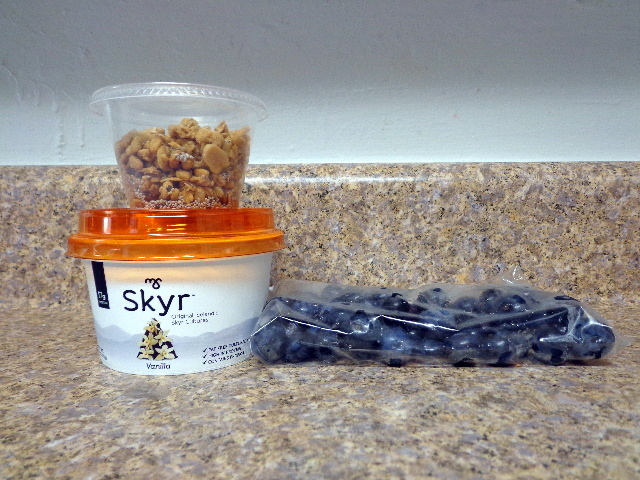 Vanilla Skyr Icelandic yogurt with blueberries, KIND peanut butter granola, and chia seeds. This was so tasty; I need more of that yogurt immediately. Adam was at the hospital when I got home on Sunday so we had to turn Monday into date night. 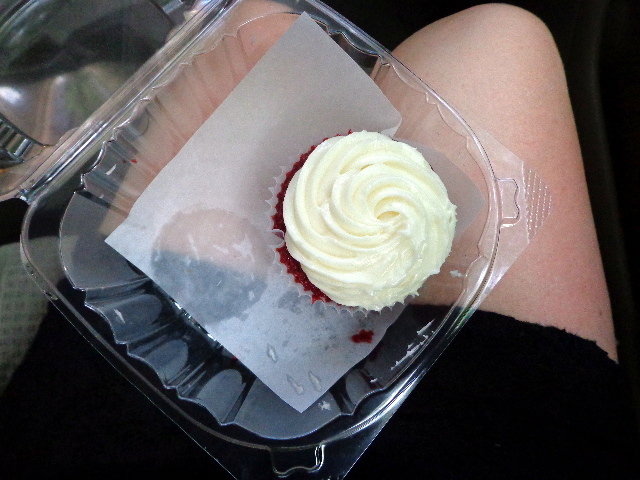 He picked me up at work and came bearing red velvet cupcakes. 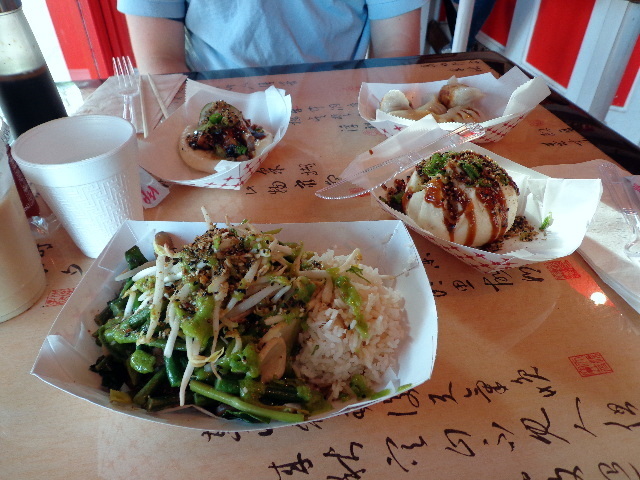 We went to dinner at East Wind Snack Shop by Prospect Park. 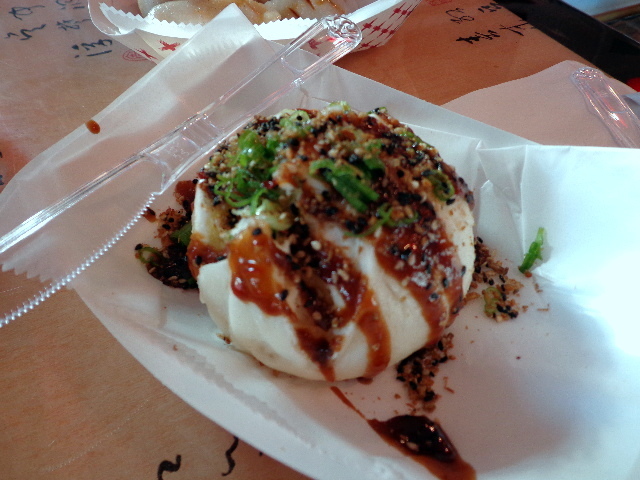 We came in for the foie gras bao, which ended up being only ok. For the cheap price the amount of foie gras was very fair, but I would have rather paid a bit more and gotten a better meat-to-bun ratio. But my Happy Buddha Vegetables were yummy. 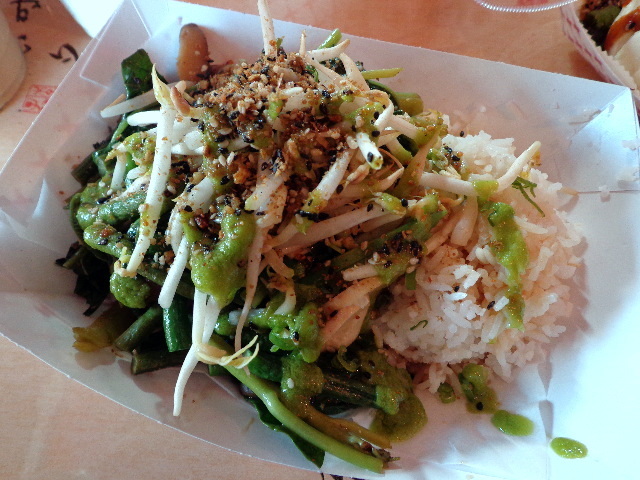 They describe this dish as “jasmine rice, fermented tofu, seasoning, and all sorts of vegetables.” I’m not sure what the green sauce was but it was worth going back for. Then we walked to the theatre (our movie theatre) to see “Ant-Man.” The character development was weak but the movie was still hilarious so we’re glad we went. 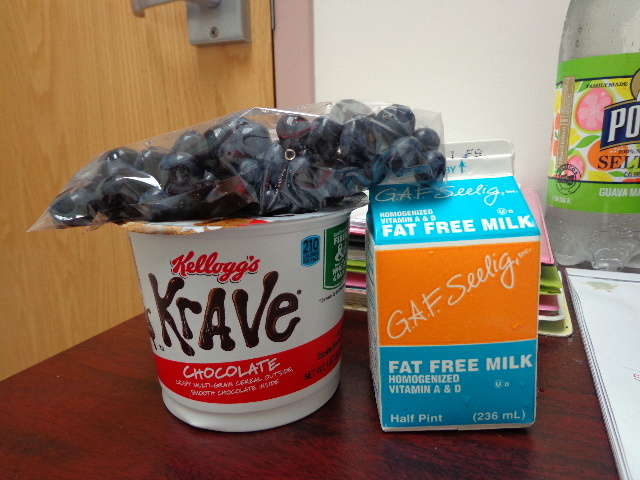 I didn’t have time to do a real grocery trip this week so the following two nights were admittedly a little weak. This meal was fine but it’s not winning any prizes. 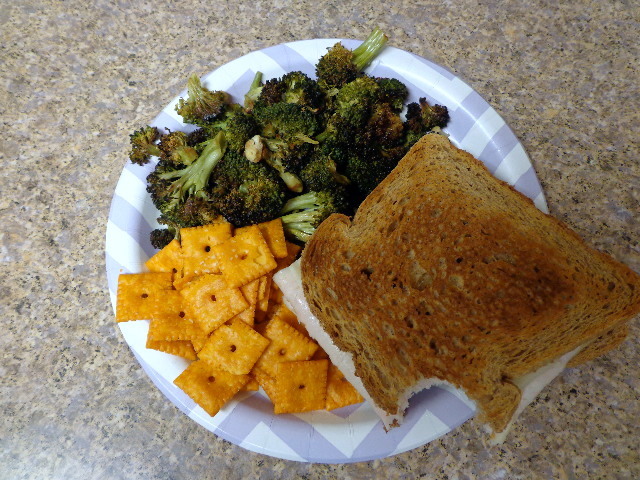 Cheez-its, leftover roasted veggies that Adam made last week, and a turkey and Havarti cheese sandwich. This meal was a bit better. It definitely tasted good. 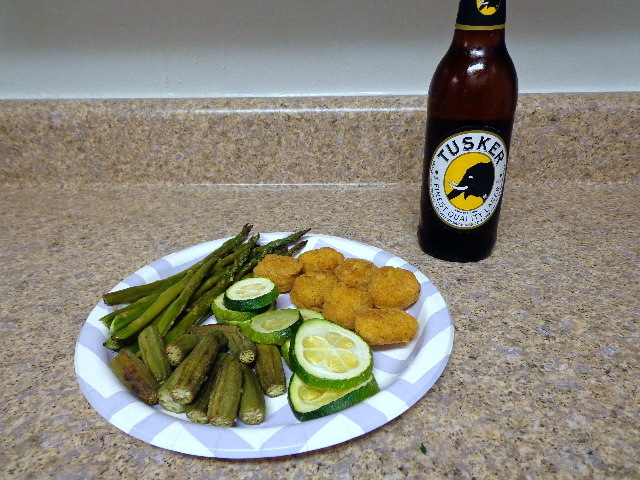 We needed a carbohydrate side so we had beer! 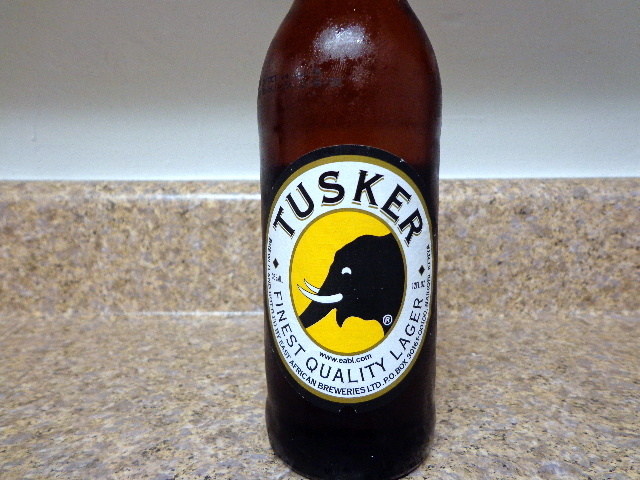 Tusker is one of my all-time favorite beers, and pretty much the only lager I enjoy. 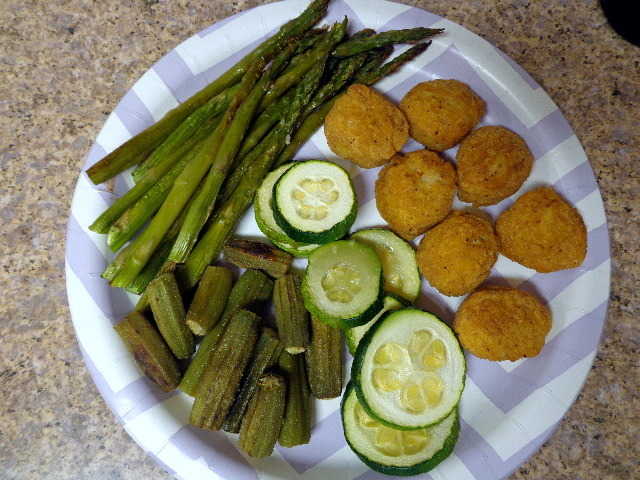 With roasted veggies – asparagus, okra, and zucchini – with Applegate chicken nuggets. A copious amount of ketchup was added after I took that picture. My parents come to visit tomorrow. And Friday is my birthday. I’m old, but excited!